The "Grimple Battle" SoundSet gives you everything you need for an incredibly annoying and frustrating encounter with these devilishly mischievous opponents. Perfect for any kind of small malicious creature. Maniacal giggles, flying stones and energetic music make this a thrilling SoundSet. 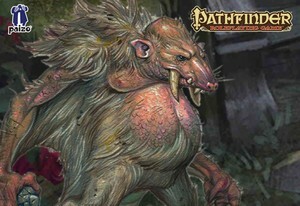 Also included are OneShots such as bites, dagger stabs, thrown stones a number of Grimple specific spells and a really disgusting vomitous acid breath weapon.